The Zoolander 2 writer talks to Loaded about life with Jennifer Aniston, working with Ben Stiller and killing off Justin Bieber. He’s the writer behind hilarious comedies including Tropic Thunder and now Zoolander 2, but Justin Theroux is under no doubt about who the funniest person in his marriage is. Theroux, who wed Jennifer Aniston last August, admitted to Loaded in our exclusive video interview that his A-list actress wife regularly has him on the floor with her one-liners. “It’s a laugh a minute. When we get on a run, it’s pretty fun,” Theroux says of his life in LA with the former Friends star. 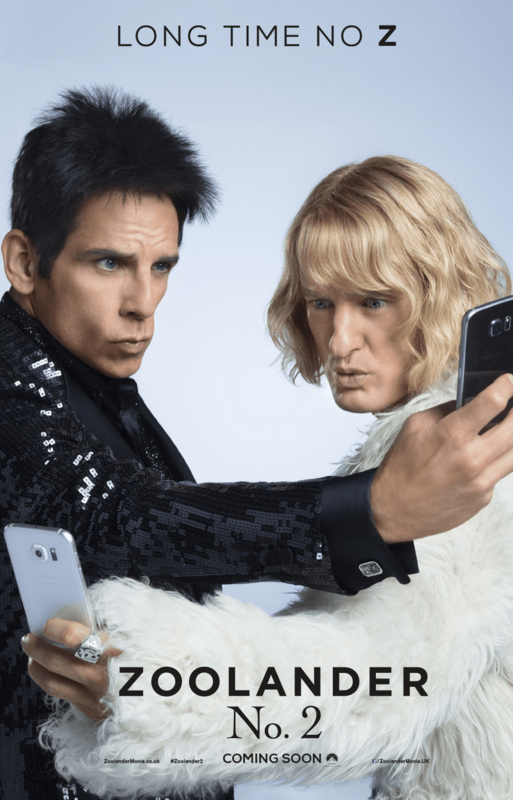 Theroux starred in the first instalment of Zoolander back in 2001 as the evil DJ who challenges Owen Wilson’s Hansel to a dance-off, and he admitted he’d been plaguing the film’s director and lead actor Ben Stiller to make a sequel ever since. “I loved the first Zoolander so much,” he says. Stiller eventually gave Theroux a call and told him he wanted him to write the script for the film, which follows the life of male models Derek and Hansel years on from when they originally stormed the catwalks. The evil Mugatu returns in the form of Will Ferrell, alongside new cast members Penélope Cruz and Kristen Wiig. Zoolander 2 sees a who’s who of the fashion world pop up in various scenes, but it’s the opening segment that results in the bloody demise of Justin Bieber that has people talking – before the film has even been released. For Theroux and Stiller, the scenes based around Bieber were a long time in the pipeline. “That idea came very early on,” Theroux grins. “Once we had our plot, we reverse-engineered it. We knew we were going to start the movie on this mystery death and we knew it was going to be a pop star. Then we struck on Justin Bieber, and we thought it was fantastic. 'Good sense of humour' Justin was surprised at Wintour's ability to laugh at herself. Vogue Editor Anna Wintour also has a speaking part in the movie, and despite public perceptions of her as a stiff-lipped fashionista, Theroux found she was certainly up for a laugh. “You sit there and you go ‘I can’t believe we are going to get Anna Wintour to say this – is she going to say this?’ But then you realise that she’s got such a good sense of humour. Everyone did and it wasn’t isolated to her,” he stresses. “A lot of cameos that we had, they were all massive fans of the first one. I think they were very giddy about being involved. “Ben is very good about making everyone feel welcome and we’re not trying to bounce basketballs off their heads and make fun of them. It’s all aimed at making fun of Derek and Hansel. We just couldn’t believe how blessed we were to have all those people to come play. See it first – special previews for really good-looking people Feb 6 & 7. In cinemas everywhere February 12. Loaded interviews Dirty Grandpa directer Dan Mazer.